This is the first of a three-part blog series devoted to explaining why you might have cloud monitoring problems. Today we’ll discuss the shifting monitoring landscape and what it means for you. If you rely on tools from “The Big Four” to monitor and manage your network, then chances are you’re already aware of the bad news: BMC, IBM, HP and CA are letting those tools reach end-of-life. 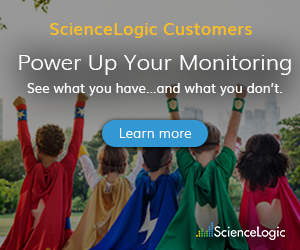 It’s a logical business decision for them, and because the cloud has changed the monitoring landscape dramatically, and they’re focusing on other things. But don’t fret about it; there’s opportunity in the changing landscape. 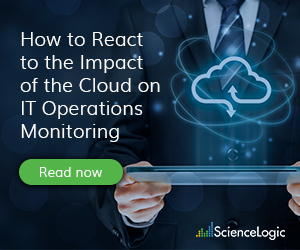 While “The Big Four” are investing their resources and shifting attention on business opportunities like security, infrastructure, hardware, services, and automation, there’s been a lot of innovation happening with the cloud monitoring and management. Today’s cloud-focused enterprise doesn’t have to rely on legacy tools or a patchwork of point-products to rein in their hybrid infrastructure. Instead, they can minimize their toolset and achieve a more efficient (and cost-efficient) approach to network monitoring and management. 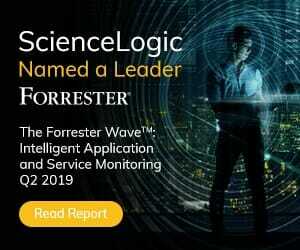 A recent Gartner report, found that while companies are rushing to the cloud “to replace old technologies and to take advantage of new offerings and architectures… [and] benefit from potentially lower operating costs, combined with increased digital dexterity,” only 15% will have implemented a consolidated, holistic approach to monitoring by 2021. The rest will have left $225 billion in cloud-related investments at risk. Because they’re relying on legacy products to do an increasingly difficult task that’s made even more challenging by the gaps in visibility. Add to that problem the complexity of using multiple (often discrete) tools to do a single job, and monitoring all of your resources becomes an exhausting and daunting task. I get it; change is hard. There are new skills to learn, old habits to break, company culture to overcome and a fear of the unknown to conquer. But if you’ve already made the decision to embrace the cloud, you did so with the understanding that change was part of the equation. You can make the most of it. Besides, the unknown has a lot of pleasant surprises. Not long ago, I was part of a team helping a managed services provider in the midst of a technology refresh. The nature of their business meant their IT environment had grown complicated over time and they were using a lot of different tools to keep an eye on things. They’d also grown used to a certain degree of operational oversight. Their institutional way of thinking was things go wrong, and you fix them as best you can, trusting that customers recognize that it is what it is. We implemented a new management platform that gave the company a “single pane of glass” view of their environment along with complete network visibility. The minimization of tools and associated cost and complexity alone was enough to make them happy, but what they found was that the data they were collecting not only allowed them to see how their configuration items were performing, but it also provided insight into their health. As a result, they instantly uncovered more than twenty environmental issues that they weren’t previously aware of—issues that could have resulted in component failures, downtime and compromised service delivery. That deeper, contextual insight meant they were able to take preventative action and mitigate the previously unknown risks to their operation. Needless to say, this sort of proactive insight is a better option than conducting a post-mortem after a system failure. Whatever phase of the cloud journey you happen to be on, you’re likely weighing your monitoring and management options. You can layer on to your existing scheme with more tools, or you can choose to minimize your kit. You can choose to add cost and complexity, or you can choose to streamline your approach. You can choose to remain among the 85 percent that Gartner says have put their cloud investments at risk, or you can choose to be among the elite 15 percent that has embraced change to maximize those investments.